Explore the historic heart of Croatia’s Dalmatian Coast during a 3 day stay. Split’s Old Town, centred on the Roman Diocletian’s Palace is a treasure trove of Romanesque and Gothic architecture, with many gems such as the Temple of Jupiter. Inclusions: Return transfer, 2 nights accommodation, daily breakfast (B), sightseeing as indicated, services of a local representative. This tour is privately guided and can be scheduled to suit your requirements. Price is based on minimum 2 people with entrance fees paid locally. 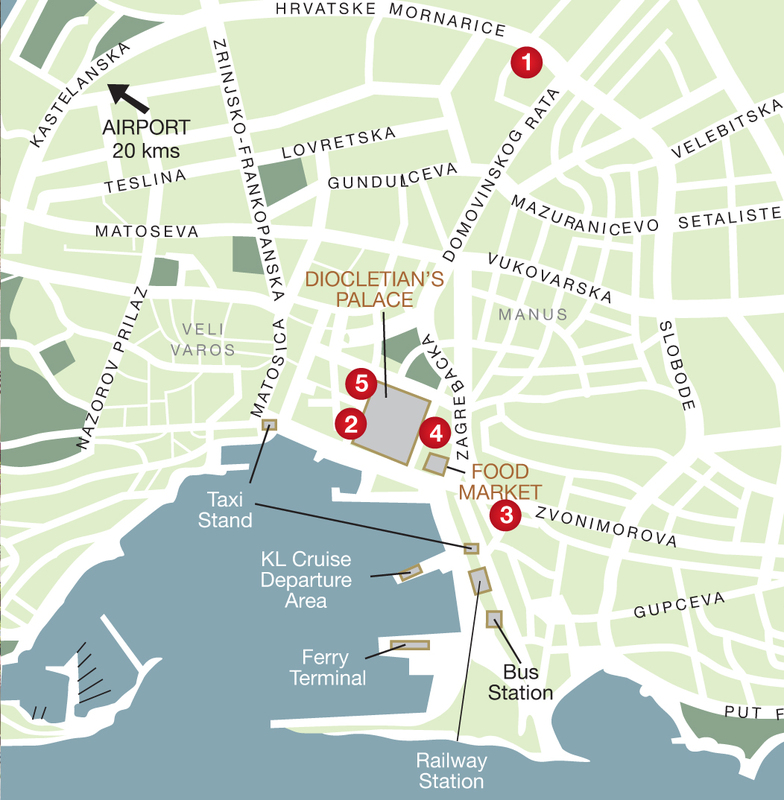 Explore the city that has evolved from the ruins of Emperor Diocletian’s Palace. Discover many Romanesque and Gothic structures including the Peristyle and Temple of Jupiter. Take the ferry to Hvar and embark on a guided walking tour with a local guide to discover this charming 15th century Old Town and its medieval fortress. There is plenty of time to further explore before returning to Split. Experience Split’s sights with the freedom of this Hop-On Hop-Off bus tour then join your guide for a walking tour of Emperor Diocletian’s Palace, the heart of the Old Town. The magic of Mostar has survived through the centuries. See the restored ‘Stari Most,’ Turkish House and old bazaar before a visit to the Catholic pilgrimage site of Medjugorje. Plitvice Lakes National Park is a magical world of forests, lakes and waterfalls. Tour the string of 16 lakes that spill into each other over foaming cascades and thundering waterfalls. Deluxe, contemporarily designed hotel located 15 minutes walk from the port and Diocletian’s Palace. Beautifully designed, spacious rooms make for a pleasant stay. Small, boutique hotel in the heart of Diocletian’s Palace, beautifully renovated to preserve the original architecture. Spacious rooms are luxuriously appointed with modern amenities. Fashionable, boutique hotel offering state of the art luxury just 400 metres from Diocletian’s Palace. The hotel offers very spacious, comfortable rooms. Charming, small hotel located just a few steps from the entrance to the Diocletian’s Palace. Rooms are well appointed and some feature sections of the 1,700 year old city walls. Superbly located property known for its quality customer service. This historical building features bright and comfortable rooms, most with balconies offering Split views.